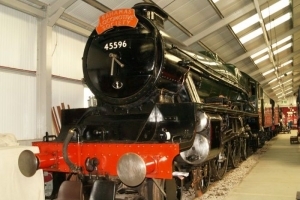 The Bahamas Locomotive Society is based at Ingrow on the Keighley & Worth Valley Railway in Yorkshire, where we have created our own Museum and Workshop facility – Ingrow Loco - housed in the former Midland Railway goods warehouse adjacent to Ingrow West station. Ingrow West Station and Yard have been transformed into Rail Story – a collaborative plan between the Keighley & Worth Valley Railway, the Vintage Carriages Trust and the Bahamas Locomotive Society to develop the site progressively giving visitors greater opportunities to learn about and understand about the preservation and conservation of our railway heritage. 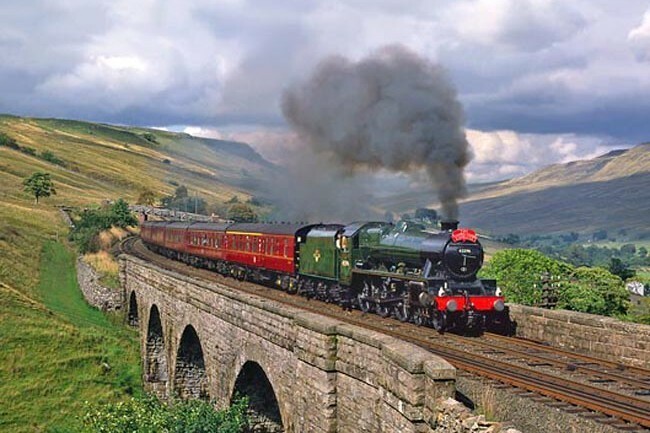 For more information about Rail Story, visit the dedicated Rail Story website Open most days of the year – even when trains are not running – visitors can see a restored railway station which was originally at Foulridge on the Skipton to Colne line. It closed in 1959 and was moved stone by stone to Ingrow West opening in 1989. Some of the stones are still numbered to signify where they should go. Find out how all this happened. You might even find a real fire in the ticket area. 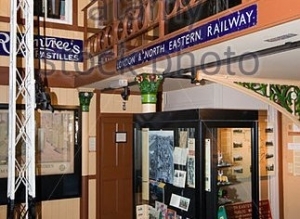 Ingrow Loco – Museum & Workshop is the engine shed at Rail Story, Ingrow. It is home to our collection of locomotives and interpretive exhibition of aspects of railway history, primarily the steam locomotive. The Museum exhibition has been created and produced entirely by our own volunteer members. 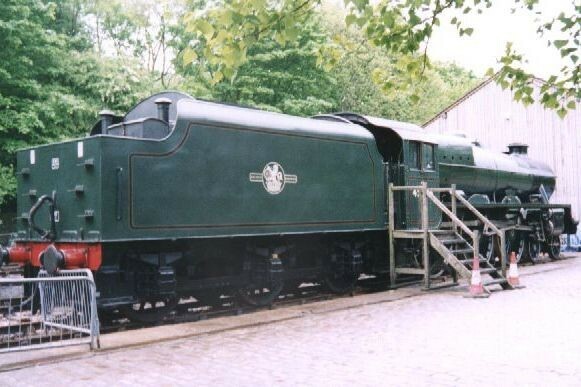 The workshop provides the facilities necessary for the maintenance and overhaul of our locomotives and rolling stock. Go in the engine shed where you can see engines under repair and being maintained such as the unique 1888-built LNWR ‘Coal Tank’ No. 1054 owned by the National Trust but restored and cared for since 1973 by the Bahamas Locomotive Society. This Accredited Museum also houses numerous displays and artefacts from the age of steam – learn about “Bahamas”, our 135-ton express locomotive which is currently being overhauled so it can run once more on the main-line. The Bahamas Locomotive Society (BLS) bought 45596 Bahamas in 1967, following its withdrawal from service at Stockport Edgeley Motive Power Depot. 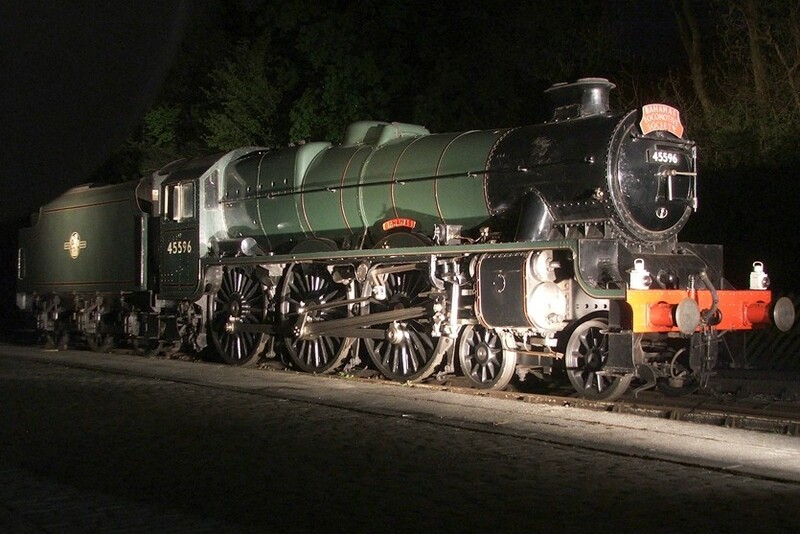 Since then the locomotive has been overhauled twice. Firstly by the Hunslet Engine Company in Leeds (completed March 1968), and then by Society members (completed during August 1988) when the engine was housed at the BLS’s then base at Dinting Railway Centre near Glossop in Derbyshire. 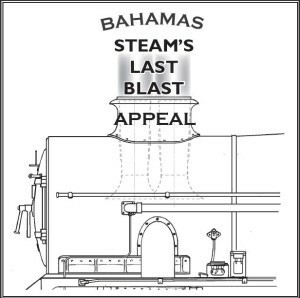 A small group of members have been saving regularly for several years in order to help fund the engine’s next overhaul, but the profile of the Appeal has now been raised with the recent launch of Steam’s Last Blast Appeal. With the excellent news of the success of our application to the Heritage Lottery Fund (HLF) in March 2013 we have been able to commence the overhaul earlier than anticipated. This has allowed a substantial amount of the work to be undertaken by specialist contractors. Despite the HLF award, funding the overhaul is not so simple. We can only claim portions of the cash when we have completed ‘packages’ of work and paid for them. This means that cash-flow is important to ensure work can continue without hindrance. So we still require additional funds to be able to achieve our targets. And only when the project is complete will we be able to claim the final instalment of the award from the HLF. Until then money still has to be found and hence why the Appeal continues.